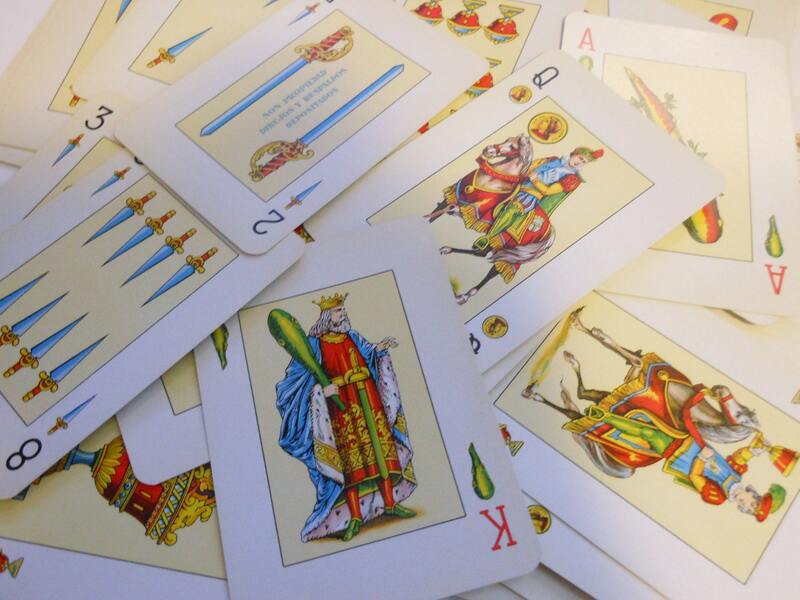 Heraclio Fournier cards, No. 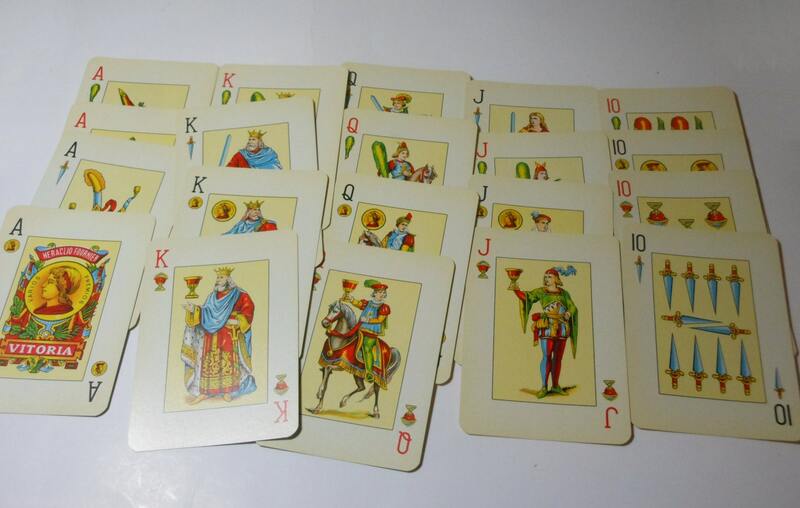 20 set of Canasta playing cards in black leather case, circa 1940s, probable World War II souvenir. Came from an auction containing items of a man who served then. These are from Vitoria, Spain. 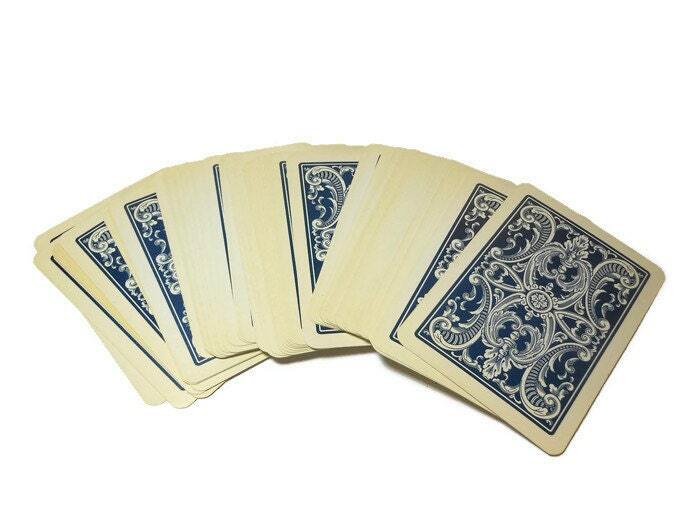 They contain 55 cards - standard 52 card deck, 2 jokers, 1 Canasta rules card. 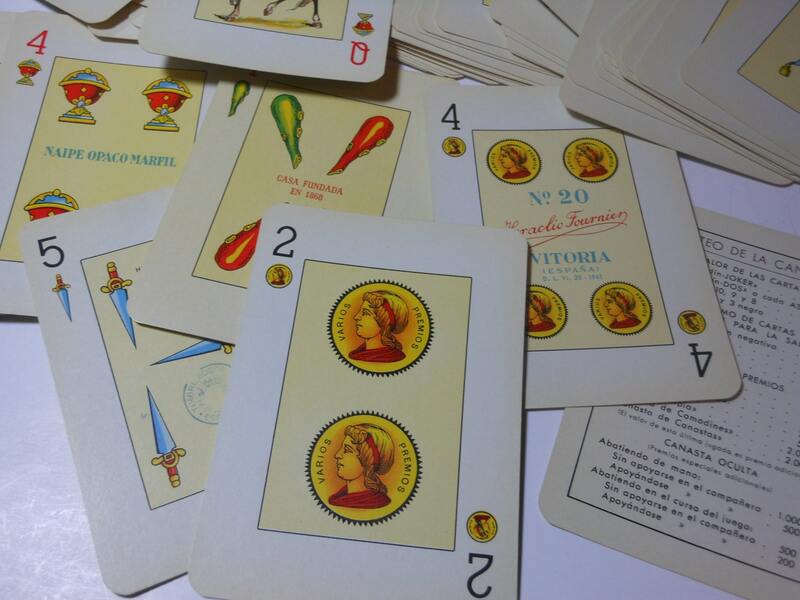 The cards measure 3 /12" (8.9 cm) X 2 1/2" (6.4 cm) and, other than yellowing from age, are in very good condition. 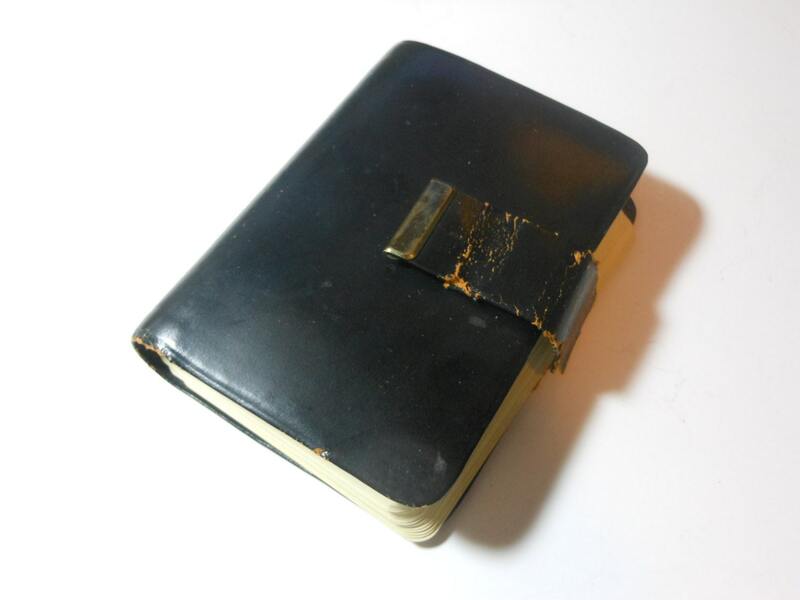 The case has a broken clasp and rubbing to the leather.